Whether your adventurous soul craves eye-candy views, miles of freshies or the tranquility of the backcountry, Colorado’s winter trails are just the ticket. So throw on some layers and buddy up — we’ve got trails for all types of powder play. Snowmobiling around the Continental Divide in northwest Colorado. Snowshoeing in Rocky Mountain National Park. Tennessee Pass Nordic Center in the Sawatch Mountains. 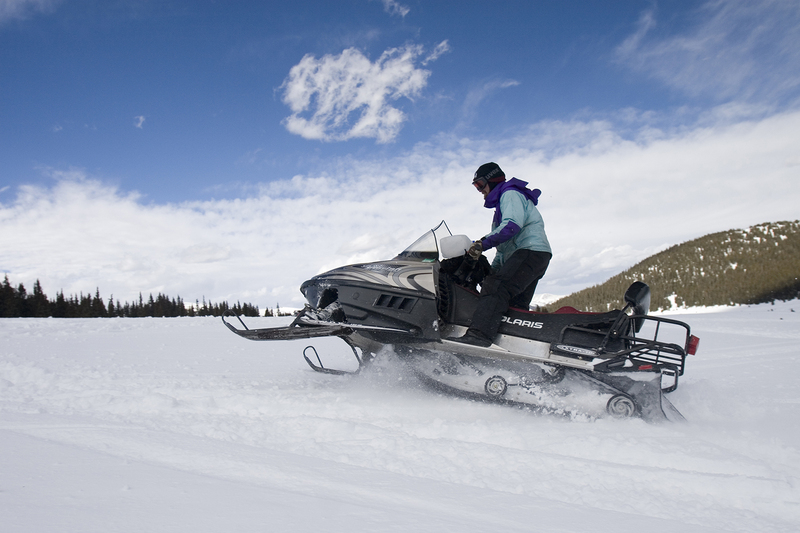 Flying through fresh powder on a snowmobile will not only get your heart pumping, it is also one of the best ways to see Colorado’s snow-blanketed backdrops at their most splendid. With gorgeous glimpses of the Continental Divide, this trail system winds along aptly named Rabbit Ear Pass. Book a moonlit dinner tour with Steamboat Resort to top off your ride with a ribeye steak supper in a secluded mountain cabin. Use the 120-miles of perfectly groomed trails and multiple access points between Glenwood Springs and Grand Junction to chart your own course through western Colorado’s untamed wilderness. South Fork’s 225 miles of varying terrain offer access to some of Colorado’s most impressive high-country vistas (at 12,000-plus feet). Groomed routes and off-trail opportunities abound on wide-open ridges and exciting steep climbs — perfect for riders of all levels. If you don’t want to bother with gear, there’s still plenty of ways to get out in the white stuff. Be sure to wear waterproof shoes — with good traction so you don’t find yourself wishing the seat of your pants was waterproof. Just 3.5 miles round-trip, this easy-to-moderate trail offers awesome panoramas of Nymph, Dream and Emerald lakes, along with a few sparkling, frozen-in-time waterfalls (who doesn’t like those?) and Hallett Peak dressed in white. Just a half hour from Denver, this 4.5-mile, easy-to-moderate loop features lovely sights of Red Rocks Park’s rose-colored rock formations and is great for little ramblers. Nearby Centennial Cone Park in Golden is also worth a stroll. This popular hiking spot in the Arapaho National Forest offers quintessential Rocky Mountain vistas, a pretty lake and the glacier that feeds it year round. Crampons on your shoes will help with the uphill, rocky (but rewarding!) climb. Choose from a wide array of trails at this National Natural Landmark, where sky-scraping geologic formations angle exemplify upward mobility and look even more dazzling lightly dusted with snow. 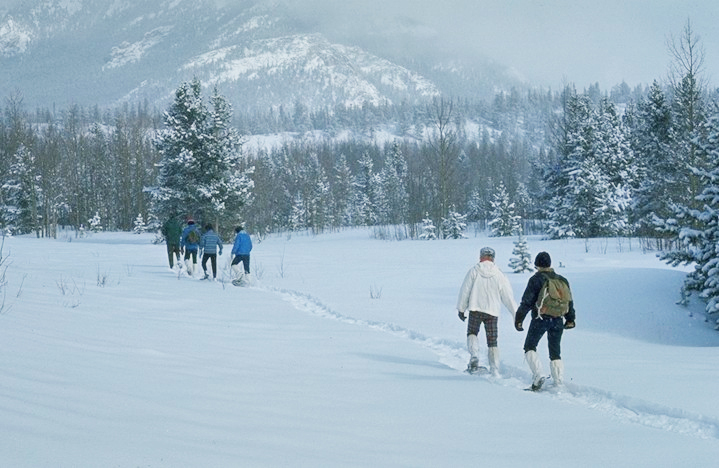 You can snowshoe almost anywhere you’d normally hike, and many snowshoeing routes are also ideal for cross-country skiing — whether you want to find your own way or hook up with a guide at one of Colorado’s many Nordic centers. Just off the ski lift at Eldora Mountain Resort, this extensive network of trails is one of our best-kept snowshoeing and cross-country secrets (and we have many of those). Enjoy guided excursions from the Nordic center, or chart your own destiny on 24 miles of pathways that weave in and out of the trees. Trek out on your own through the area’s famous dry and fluffy Champagne Powder™ on Rabbit Ears Pass. While there are several routes to choose from, the 4-mile West Summit Loop A never disappoints snowshoers. One of the largest flat-top mountains in the world, Grand Mesa near Grand Junction has exquisite landscapes and gentle terrain. Set your cross-country skis on the Skyway trail system for brag-worthy views of the Bookcliffs (shale walls resembling book spines on a shelf in a giant’s library); or for a more challenging natural challenge, try the West Bench Trail. 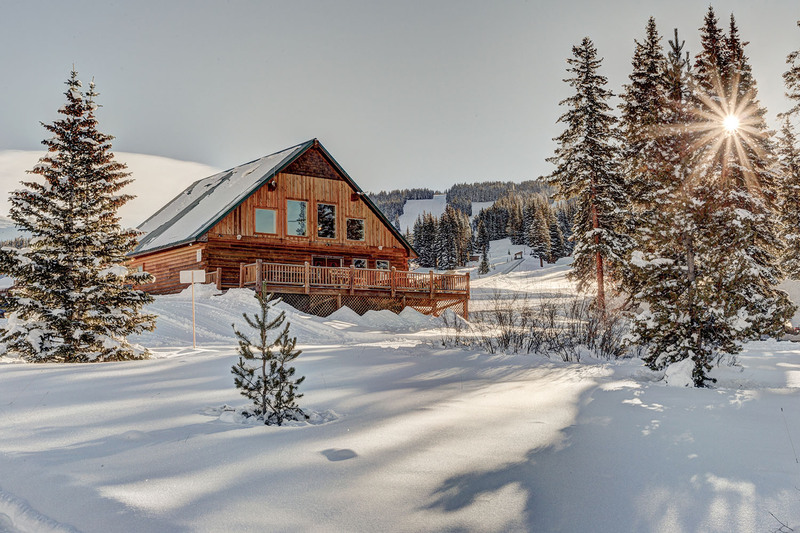 A haven for cross-country skiers, this well-laid-out system offers mighty views of the Indian Peaks Wilderness. Several dedicated snowshoe trails and a road closed to vehicular traffic in winter lead to peaceful Brainard Lake. Overlooking the ruggedly breathtaking Sawatch Mountains, this groomed system offers 15 miles of trails for various ability levels. Warm up at their cookhouse with plate of oven-roasted pheasant and homemade fruit pie. Trust us, you won’t regret it.